Earning widespread notice for his richly colored and superbly crafted scores, Pierre Jalbert (b. 1967) has developed a musical language that is engaging, expressive, and deeply personal. Among his many honors are the Rome Prize, the BBC Masterprize, the Chamber Music Society of Lincoln Center's 2007 Stoeger Award, given biennially "in recognition of significant contributions to the chamber music repertory", and a 2010 award from the American Academy of Arts and Letters. Jalbert has drawn inspiration from a variety of sources, from plainchant melodies to natural phenomena. His music has been performed worldwide, with four Carnegie Hall performances of his orchestral music, including the Houston Symphony's Carnegie Hall premiere of his orchestral work, big sky, in 2006. Other major works for orchestra include In Aeternam (2000), performed by the London Symphony Orchestra, Symphonia Sacra (2001), written for the California Symphony; Les espaces infinis (2001), written for the Albany Symphony, Chamber Symphony(2004), commissioned by the Los Angeles Chamber Orchestra, Fire and Ice (2007), commissioned for the Oakland East Bay, Marin, and Santa Rosa Symphonies through Meet the Composer Foundation's Magnum Opus Project, Autumn Rhapsody (2008), commissioned by the Vermont Symphony, and Shades of Memory (2011) premiered by the Houston Symphony. Recent orchestral performances include those by the Boston Symphony at Tanglewood, and the Cabrillo Festival Orchestra under Marin Alsop. 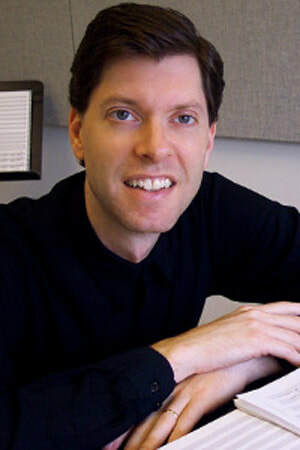 He has served as Composer-in-Residence with the Los Angeles Chamber Orchestra (2002-2005), California Symphony under Barry Jekowsky (1999-2002), and Music in the Loft in Chicago (2003). Select chamber music commissions and performances include those of the Emerson, Ying, Borromeo, Maia, Enso, Chiara, and Escher String Quartets. Jalbert is Professor of Music at Rice University's Shepherd School of Music in Houston, and he serves on the Artistic Board of Musiqa, a Houston-based new music group. His music is published by Schott Music. Rick Beato is a well-known YouTuber, music producer and educator. His channel ‘Everything Music’ on YouTube has earned more than 580k subscribers and nearly 50 million views, making him one of the most successful music educators on the social networking platform. Spanning widely diverse subject matter including the topics of music theory, film-scoring, jazz improvisation, ear training, music history, songwriting, audio engineering and music production, interviews and instructional videos, Beato adds to his catalog on an almost daily basis. One of his most popular series is called “What Makes This Song Great?”. Using original multitracks and stems from some of the most famous and musically significant songs of the past few decades, Beato presents an “engaging and in-depth theoretical and sonic dissection of the music, revealing fresh insights with all the contagious enthusiasm of an explorer of the musical cosmos.” He has a B.M. in Music Education and an M.M. in Jazz Performance from the New England Conservatory of Music. He is a record producer with numerous Gold and Platinum selling records and also co-wrote the RIAA certified Platinum selling song “Carolina” with Parmalee. In late 2013, “Carolina” climbed to Number One for 2 weeks on the Billboard Country Music Charts. Maria Mannone is an Italian composer and researcher in mathematics and music. She earned Masters in Theoretical Physics, Orchestral Conducting, Composition, and Piano in Italy, and the Master 2 ATIAM in France at IRCAM-UPMC Paris VI Sorbonne. She achieved her Ph.D. in Composition in the USA, at the University of Minnesota, where she developed interdisciplinary research collaborating with the Fine Institute of Theoretical Physics. She is the inventor of the CubeHarmonic, a musical instrument derived from Rubik’s cube, that is currently a working prototype developed in collaboration with the Tohoku University (Japan). Author and co-author of books and articles, she gave invited lectures and talks in the USA, Asia, and Europe. Elliott Miles McKinley has had music performed in the United States, Canada, and Europe. Commissions include those from the Pittsburgh New Music Ensemble, the Czech Philharmonic Chamber Music Society, the SOLI Chamber Music Ensemble, the Whatcom Symphony Orchestra, the Martinů String Quartet, the Mirari Brass Quintet, and the Janaček Trio. The Minnesota Orchestra, the Warsaw Philharmonic, and the Czech Radio Symphony have performed his orchestral music, and his works have been featured in international festivals; he is the recipient of a number of awards, grants, and fellowships including those from BMI, ASCAP, SCI, Meet the Composer, the American Music Center, the American Composers Forum, and Indiana University. McKinley earned degrees from the New England Conservatory of Music, University of Michigan, and University of Minnesota. He has taught at the University of Tennessee, Washington and Lee University, and is currently Associate Professor of Music Composition, Theory, and Technology at Roger Williams University. Peter Russell Farmer is a composer whose musical roots are varied. In his early teens, he discovered jazz, and he credits his love of polyphony to the influence of traditional jazz. It was, he states, ""the improvisational element of jazz that led me to composition." Farmer received degrees from the Boston Conservatory and the University of Minnesota. He attended the Ferienkurze für Neue Musik in Darmstadt, Germany where he worked with Karlheinz Stockhausen. Primarily working as a freelance composer and copyist, Farmer has taught music theory/composition at Berklee College of Music and Lowell State University. As a composer, his work has been performed by The Warsaw Philharmonic Orchestra, the Czech Radio Symphony Orchestra of Prague, the Moravian Philharmonic Orchestra, and the Slovak Radio Symphony. In 2012, his Ragout for Four was commissioned, premiered, and recorded by the SOLI Chamber Ensemble. This work was released in 2014 on New Dynamic Records. Farmer also has a number of sacred works ranging from Psalms to Parables, and his faith continues to be a source of great inspiration. Emily Koh (b.1986) is a Singaporean composer and double bassist. Her music is characterized by very inventive explorations of the smallest details of sound. She is the recipient of awards such as the Yoshiro Irino Memorial Prize, ASCAP Morton Gould Young Composer Award, Prix D’Ete, and PARMA competitions, commissions from the Barlow Endowment for Music Composition, Composers Conference at Wellesley College, Singapore Symphony Orchestra, Left Coast Chamber Ensemble, Dinosaur Annex Music Ensemble and grants from New Music USA, Women’s Philharmonic Advocacy and Paul Abisheganaden Grant for Artistic Excellence. Her music has been performed at various venues around the world in Singapore, Malaysia, Thailand, Vietnam, Hong Kong, Macau, Taiwan, Japan, South Korea, the Netherlands, Italy, France, Switzerland, Finland, Israel, the United Kingdom, Canada and the United States. Emily graduated from the Yong Siew Toh Conservatory of Music, National University of Singapore (BM Music Composition), the Peabody Institute, Johns Hopkins University (MM Music Composition and Music Theory Pedagogy), and Brandeis University (Ph.D. graduate in Music Composition and Theory. Joseph Dangerfield has lived and worked professionally in Germany, Russia, Holland, and New York. He is the recipient of many awards and recognitions, including the Aaron Copland Award, the Indianapolis Chamber Orchestra's Composition Prize, the Henry and Parker Pelzer Prize for Excellence in Composition, and the Young and Emerging Composers Award. He was a Fulbright Scholar to the Russian Federation and the Netherlands (2009-10), where he served as composer-in-residence with the Ensemble Studio New Music at the famed Moscow Conservatory, and lectured at Maastricht Conservatorium. He has been a resident in the Leighton Studios of the prestigious Banff Centre in Alberta, Canada, and the Yaddo Colony in New York. Over the past several years his creative voice has garnered much attention, with performances of his works throughout the United States and abroad. His instrumental and chamber compositions have been performed at such international venues as the Moscow Conservatory, the Vienna Konzerthaus, the Frankfurter KuenstlerKlub, the Conservatorio di Giuseppe Tartini (Trieste, Italy) and in Carnegie Hall (Merkin), NY. Yan Pang is a composer, scholar, and pianist. She received her Ph.D. in Music Composition with a minor in Theater Arts & Dance at the University of Minnesota. Her work focuses on inter-cultural music composition and performance and, as part of this interest, she has been commissioned to compose for, and invited to perform at music festivals throughout the world. She considers both her music composition and dance choreography as a means to build multicultural understanding and tolerance. Current projects include a new piano trio for the Janáček Trio, and a collaboration on a theatrical dance piece with Minnesota's Black Label Movement. A selection of her varied publications includes the album Glory Times(as songwriter and music director) by the China Scientific & Cultural Audio Video Publishing Company, the score Solis Ortus (winner of the SunRiver International Composition Competition) by the China People’s Cultural Publishing Company, the paper “Scene of Sichuan Opera” (co-author with Mingzhu Song), and the books Cool Math for Hot Music, All About Music, and Basic Music Technology (co-authored Guerino Mazzola et. al.) published by Springer.